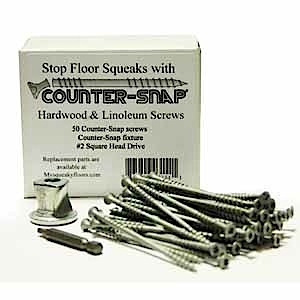 Fix a Squeaky Floor | Hardwood Floors | Carpeted Floors | Stairs | Joists | Squeak No More Designed to Fix Squeaky Floors using Squeeeeek No More, Squeak No More, Counter Snap, and Squeak-Ender! Discounted Prices! MySqueakyFloors.com offers true-tested products to help fix squeaky floors, creaking floors, squeaky carpeted and hardwood floors, and subfloor and stair squeaks. 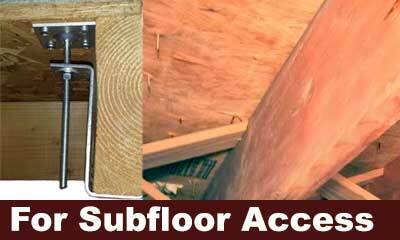 We have thousands of satisfied customers who have purchased and installed these products to repair floor squeaks with success. So why are you still living with squeaky floors? It's easy to help fix those squeaks once and for all! Just select the squeaky floor product that best fits your situation. 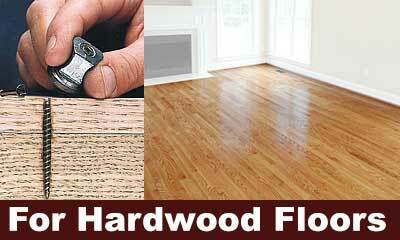 It may take just one product or it may take all three to fix your squeaky floors. The next time a loud squeak annoys you, consider these products! 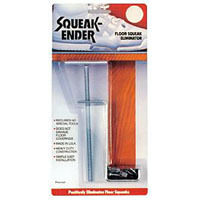 Repair floor squeaks through carpeting with a Pro Squeeeeek No More a squeaky floor under carpet repair kit. TThe Squeeeeek No More Pro Kit ships at 9 pounds. 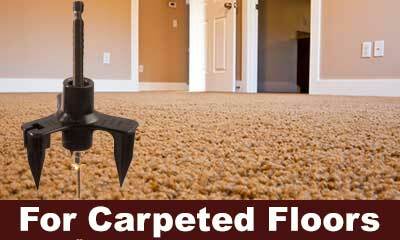 Stop Floor Squeaks on hardwood or carpeted floors with our combination kit. 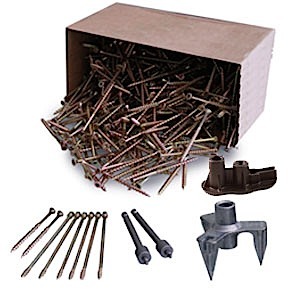 Kit includes 100 specially designed screws to stop squeaky floors. 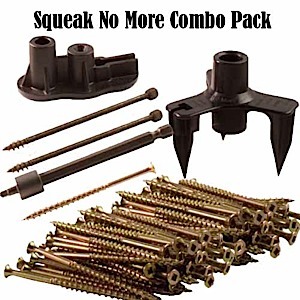 Squeak-Ender (Squeakender), a squeaky subfloor repair kit, positively helps to eliminate squeaky floors in existing homes, new construction, and in mobile homes by pulling the subfloor securely to the joist to eliminate squeaks. Each package contains the necessary hardware for one installation.